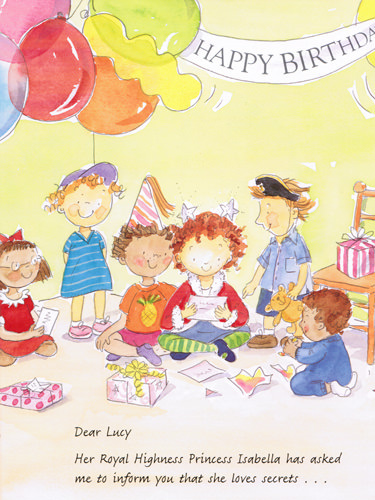 Do you know what presents a princess gets on her birthday? No, that’s because it is a secret. 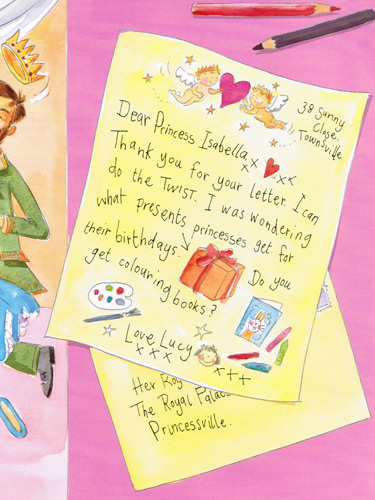 In this book Princess Isabella reveals all her birthday secrets in letters to her friend Lucy – and to you! 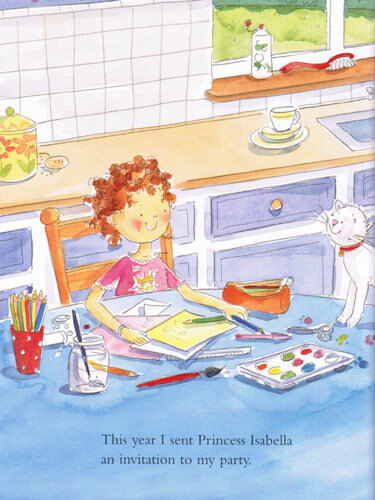 There is a cover-mounted pink, fluffy pen so the reader can write their own secret letters. My daughter wasn't well when she was small and one day Princess Diana wrote a letter inviting her to Kensington Palace! But the letter was written on the Princess's last day in London. She died in a car crash in Paris a week later. 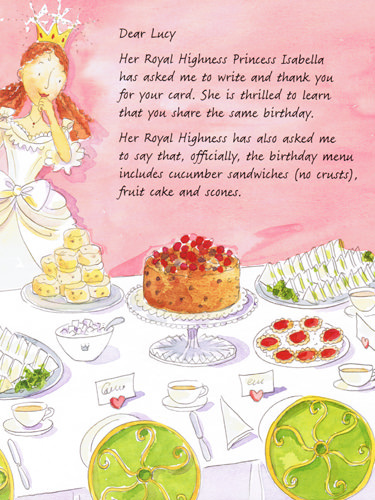 I found out later that the Princess used to invite sick children to the palace for tea. She let them carry her handbag and sit on her knee. Not a lot of people know that! 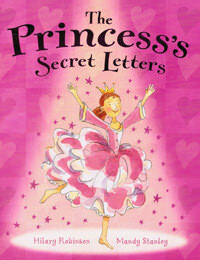 So I wrote the Princess's Secret Letters and The Princess's Secret Sleepover about the secret life of a Princess!